You asked for it! When I asked my Facebook friends a few weeks ago what they would like to see me give away on my blog, the answer was loud and almost unanimous. Coffee!!! But I’m not just giving away any old bag of coffee. 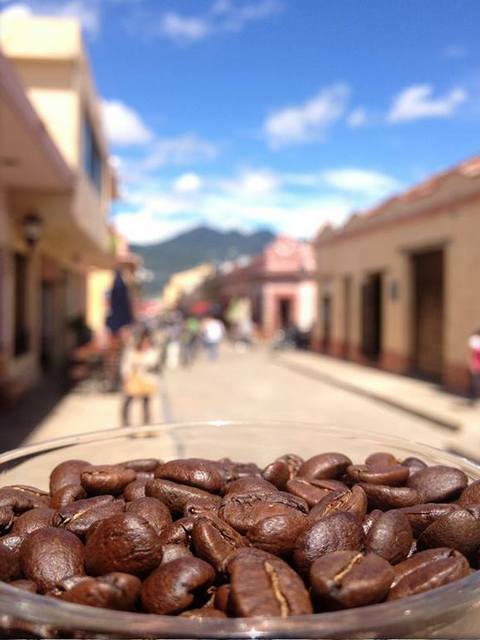 This is Chiapas coffee. 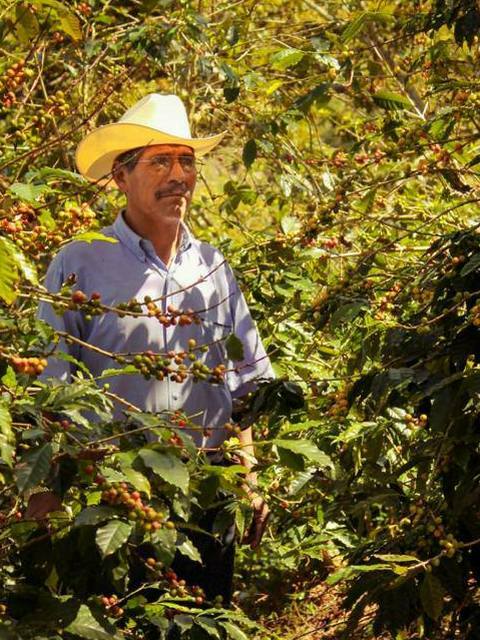 Chiapas is famous for it’s coffee, internationally. Have you ever noticed the “Shade Grown Blend” at Starbucks? Yeah, that’s Chiapas coffee. Meet Don Victor. He is the head coffee grower for the cafe I love! I used to buy my coffee from Cafe Selva (and if I’ve ever brought you coffee from here before, it came from there). I liked the idea that they worked with local farmers and such. Come to find out, most of the cafes here do! Haha! That’s what happens when coffee-growing is a huge industry in your state, I guess. But recently, I’ve been less impressed with Cafe Selva. One cup I got tasted burnt. Another had sortof a rancid taste. And then someone introduced me to Carajillo. Oh yeah. 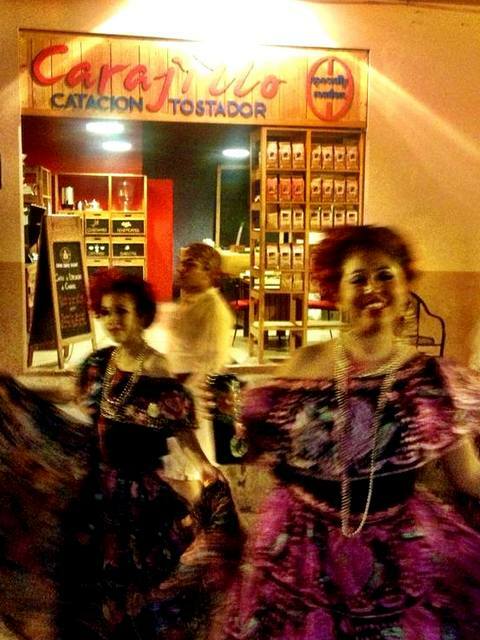 Life is a party in San Cristobal! See those bags in the doorway? That’s what I’m giving away! But I must warn you. 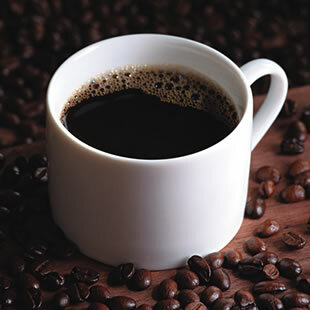 Even if you aren’t a coffee drinker, this coffee has the power to convert you. Just the smell of the bag is enough to make the most avid tea-drinker say “oh okay, I’ll try a small cup.” I’m not even kidding. It’s that good. And I will send you half a kilo of the stuff. For free. Here’s what you have to do to be entered into the drawing. Just post a comment at the bottom of this post, stating your preference of either ground bean or whole! Yep, that’s it. I will tell you that coffee DOES have a shelf life! All coffee! Whole bean coffee has a longer shelf life (3 months) as opposed to ground coffee (3 weeks). Of course you can drink it after that, but the BEST flavor and aroma will be found within that time frame.